Happy Valentines Day! I have to admit I don’t get that hyped up for Valentines. Without wanting to sound like a kill joy I don’t go in for all the cards, presents, flowers and chocolates extravaganza (presents are always welcome of course, but they don’t have to be today!) Al has got us a shredder, which is about as romantic as he gets.. Ha! 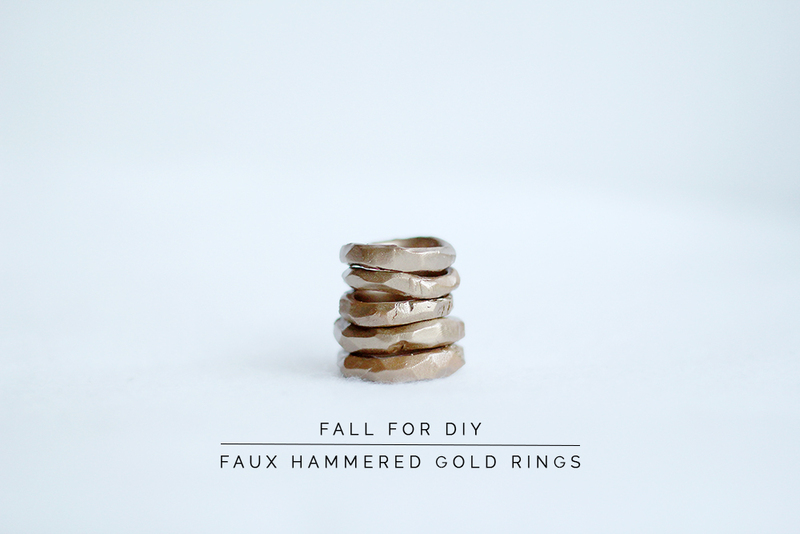 My Valentines is about eating take out, not getting up off the sofa and treating myself to something like these DIY Faux Hammered Gold Rings! 1. Warm a small ball of polymer clay and roll into a cylinder shape. 2. Measure your ring size and wrap the clay around the right place on the mandrel. Smooth the ends together. 3. Pop into the freezer for half an hour to harden. 4. Use your scalpel to cut slices out of the ring on all of the outside to create the hammered effect. 5. Bake in the oven for about half an hour on a medium/low heat. 6. Leave to cool and spray or paint gold. Such a clever idea, you’ve really inspired me to start using Polymer Clay! 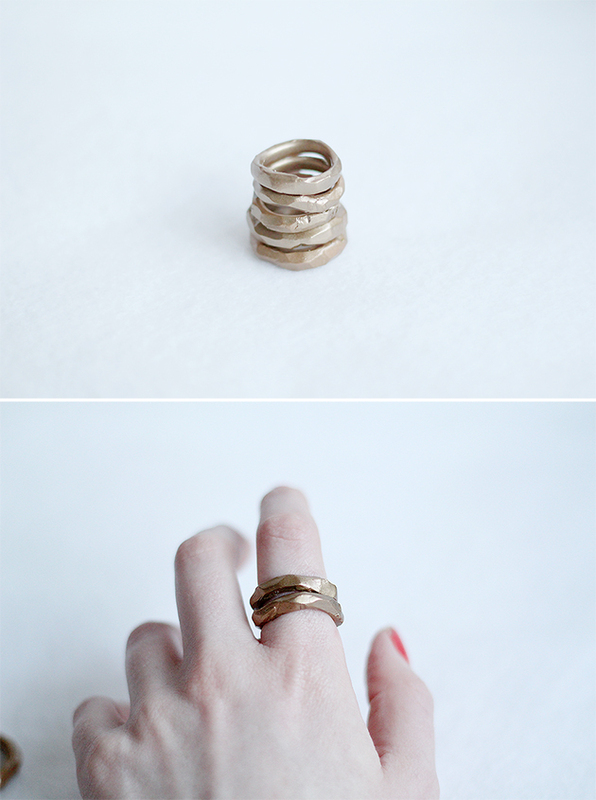 I’ve fallen in love with these rings! Check out my post about DIY necklaces. Love this! Oh the wonders of polymer clay. And this way I could get a ring to actually fit my tiny fingers! Wow, such a clever idea! I haven’t used polymer clay since I was in school, but maybe I’ll pick some up next time I’m at the craft store! I would never have guessed these were polymer clay from looking at them!